So, you are thinking about sponsoring an olive tree through My Olive Tree, but just can’t decide if this is for you or not? Check out some excellent reasons we share belo w on the importance of our work in Israel, and the blessing you will experience when you plant a tree in the Holy Land. My Olive Tree encourages the sponsorship of olive trees in Israel to help boost Israel’s agricultural economy and provide jobs through continued harvests. In 2013 we began focusing our efforts on the Negev Desert and entered into an exclusive partnership with the City of Jerusalem and the Israeli Defense Forces. Through this partnership, we are now sponsoring the planting of olive groves on army bases throughout the desert. Our most important project in this area is our Peace Grove, an olive grove planted over a terror tunnel. Unlike other organizations who sponsor tree-planting in Israel, our trees are planted for BOTH reforest ation and to produce an olive harvest each year. 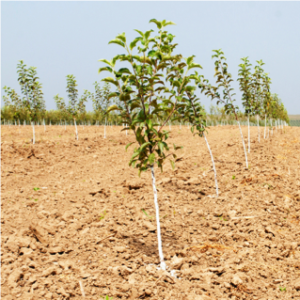 Our trees are irrigated and receive ongoing care to become healthy and mature trees that will produce an annual harvest. Our olive trees are designed to produce healthy fruit in specific types of soil, even in the Negev Desert! My Olive Tree donates a percentage of our profits annually after each harvest to humanitarian aid work in Israel. The tree that you plant will help those in need year-after-year—that’s why My Olive Tree is the gift that keeps on giving! Now as we prepare to enter 2017, we are embarking on an even greater enterprise –restoring the seven species to the land of Israel. Our efforts have also extended into planting Grapevines in the Negev Desert. We are now seeing the desert blossom with olive groves AND vineyards… with new wine. Our My Olive Tree vineyard is a significant part of the fulfillment of prophecies found in Amos 9:11-15 and Isaiah 35:1. Among other things, My Olive Tree is an environmental and agricultural blessing. The Turkish Ottoman Empire ruled the entire Middle East region from 1516 to 1917. During this 400-year period, the land was widely neglected. The ancient villages with irrigation systems had all but disappeared. It is believed that when the few people who remained could not pay the tax, the trees were cut down to fuel the cargo-carrying steam engines. 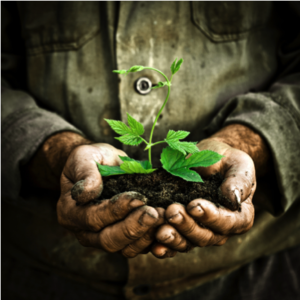 Israel has since become an international leader in developing agricultural technologies that turn nutrient-rich, yet water-deficient soil, into arable farmland. My Olive Tree is part of this agricultural revolution, planting olive groves and vineyards—reclaiming the desert! 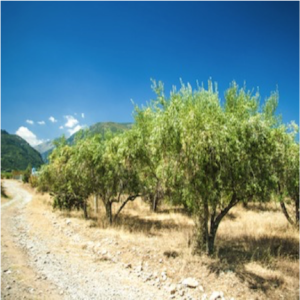 We employ state-of-the-art technology to ensure that our olive trees and grapevines receive adequate water and nutrition, no matter where they are planted. Through great concerted efforts, we are beginning to see Israel restored. At My Olive Tree, this is happening one olive tree at a time. Now that you’ve had a chance to peruse some of our favorite reasons for sponsoring an olive tree, we hope you will MORE than consider partnering with us in this unique way by making a difference in the lives of many Israeli citizens—reaching out to those who are in desperate need of the love and support that so many of us take for granted.